If you thought you saw a huge military helicopter moving through the Sydney streets on Monday morning then don’t fret, it was real! The UH-60 Black Hawk made itself famous during operations in Iraq and subsequent conflict zones and has been used by 25 nations, including Australia, as part of their military for multi-mission support. However, it’s not often you see one cruising through the northern suburbs of our nations biggest city! 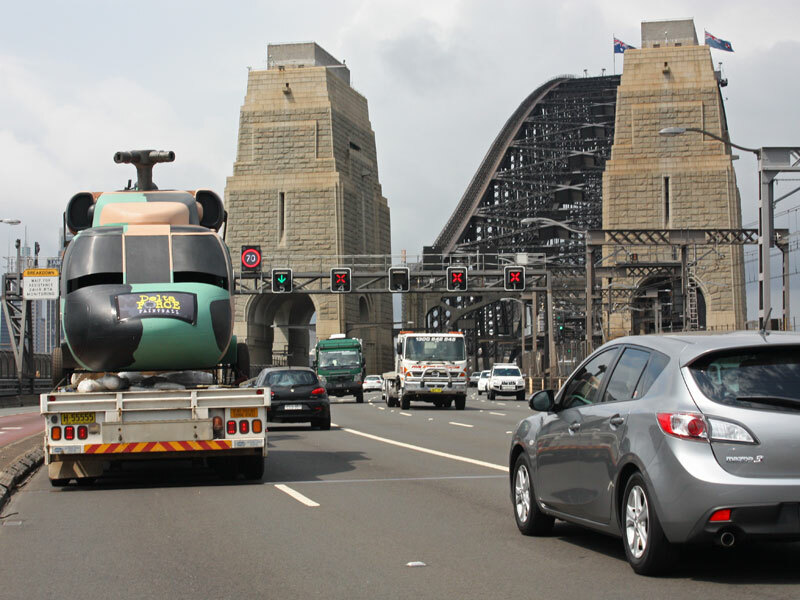 Nor is it often you see one gracefully travelling over the Sydney Harbour Bridge before continuing southwards to its pride of place at the Delta Force Paintball facility at Appin. 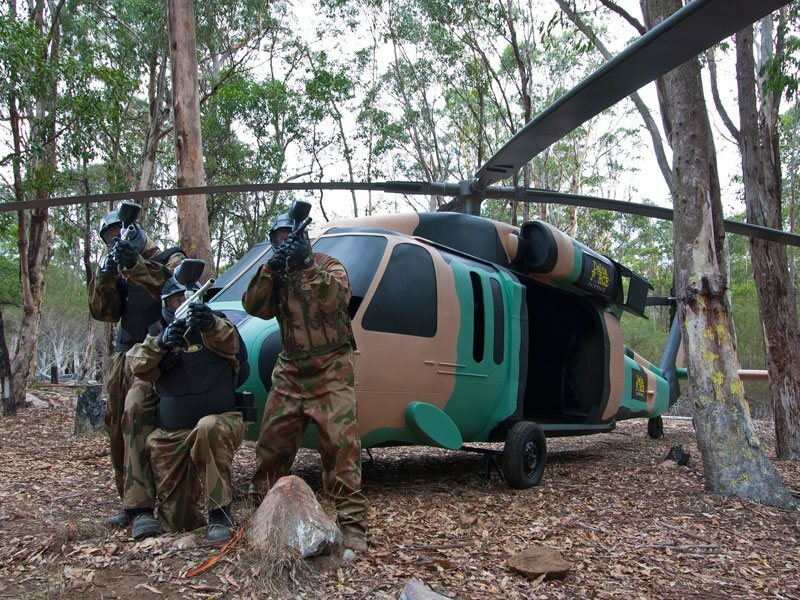 The Black Hawk Helicopter is the 2nd in a planned air invasion of such hardware for all the Delta Force Paintball centres in Australia. Weighing in at just over 2 tonnes, 17 metres in length and a rotor span of 16 metres, Delta Force Paintball is proud of the world’s only full scale Black Hawk helicopters that they designed and built for their specific purposes adding to the amazing zones that excite paintball players. It gives players the very best of paintballing experiences in the country bar none. And this is no ornament either. 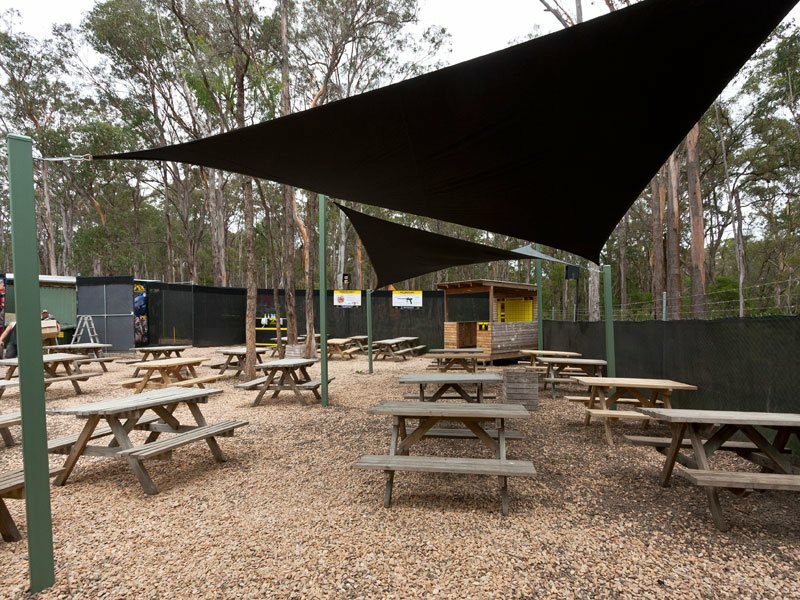 Just like its Australian Army brothers, this chopper will see actionevery week of its life as part of the amazing Tropic Thunder game zone at the Delta Force Paintball Appin centre as part of a huge refurbishment. Complementing the big army helicopter and existing POW camp on this game zone are also two new tanks, all of which now add a depth to the game play everyplayer will love. Delta Force Paintball is the world’s largest paintball company and the leader in this growing sports and recreation industry. And no wonder with commitment like this to their customers (over 100,000 of which have played at the Delta Force Appin centre since 2010 alone). 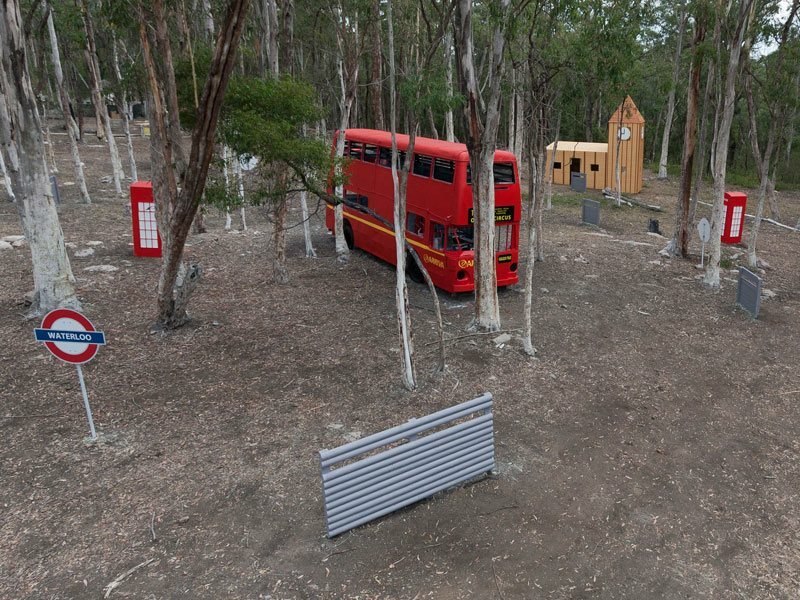 To experience the difference between the best in the business and the other less polished operators out there, book a day of paintball at Delta Force Paintball Sydney at their Appin location and see and enjoy all the movie quality game zones for yourself.